Every sentence needs a beginning, but we should avoid certain introductory phrases. Consider both the effectiveness and necessity of the words you select. A sentence, especially the initial one, should start strong. A sentence opener is the enticing bait on your hook. A hook is your initial sentence and how you lure someone into your writing. Sentence Opener Rule #1: Avoid opinion statements as sentence openers. I hope that…this might be a decent sentence. Opinion openers are the speech crutches of written communication. It’s like saying “um” at the beginning of your sentence. Um, who wants that in their writing? Well, you can safely remove them, and voila, your sentence is completely intact. In addition, opinion openers weaken the credibility of the writer–especially in a persuasive piece. They offer an uncertain tone, and your reader may doubt your authority on an issue. I think that I will start a blog. I feel like I have something to say. I guess that It’s important to share my thoughts. I hope that I can impact others with my words. These poems, written in various forms, capture the Easter message beautifully. As I post this today, I remember our poet-friend, Robert Burnham, who has two poems included here. Robert went home to be with our Savior in 2015. Mindful Poetry Contest: Anapeat for Holy Week. Were you there when Jesus died? While they crucified God’s Son. I would like to thank these poets for their words and for letting me post their poems. I hope all of you have a very blessed Easter! On March 19, I started a devotional book, and for a solid month, I had been at my computer, typing happily. I kept on my self-imposed schedule and produced a few devotionals a day. I was happy. I was organized. I was focused. And then I decided to share my re-entry to the writing world with others. This brought me to social media, which brought me to the blog, which had me thinking about hosting authors on the site again, which then led me to Canva to design graphics for the aforementioned sites, which led me back to Facebook, which, by the magic of pressing a link, brought me here again. When my “writing world” gets cluttered with distractions, I think of Jane Austen and her portable writing box. When she lived in the Chawton cottage, her biggest distraction was the squeaky door into her bedroom. I have a multitude of “squeaky doors,” and Google is the key to finding many of them. I also have these cute cats, laundry, birds chirping outside, and the desire to snack even though I am not hungry. “Yes,” I can answer without fibbing. After all, I wrote this. Our family has over 100 Christmas books but only 4 Easter books. In an effort to expand our library with books that offered a true meaning of Easter, I ended up with an extensive book list. The Legend of the Three Trees has been our favorite for many years, but now that I have two teenagers, I wanted to reach them where they are now. I was thrilled to find Lee Strobel’s The Case for Christ and The Case for Faith in Kids’ (8-12) editions and student editions (teens). I have met Lee Strobel, and he’s the most genuine person. Here’s my copy of The Case for Christ as well as his autograph. I plan to read The Case for Easter: A Journalist Investigates the Evidence for the Resurrection this Easter season. I write as a hobby, not a profession. Many authors quit their jobs to become writers. I am so taken by their stories. I offer the story of Bethany Turner and her books. Read her story, her books, and support someone who wants to turn writing into a sustainable career. Free entices more people. We will try anything for free. That is why so many people eat seaweed when Costco has it for a sample on Saturday afternoon. Consider it a gift to all my loyal NBTAM readers. After all, you waited a long time to find out what happens next in the life of the Seven Cs. I’m certain many of you suffered insomnia over it, right? Okay, that is all. I am going to work on book #3. I have made a promise to write a little every day, so I can continue delivering books to all of you. Yes, you should choose (d), but I am no longer (b) or (c) since I have been exceedingly (a) as I get ready to release my second book. 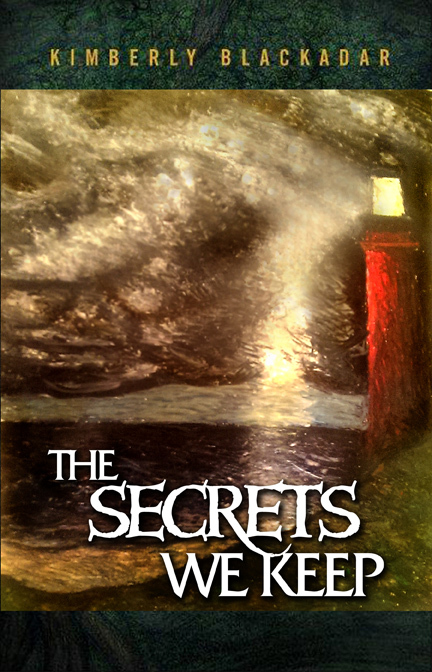 So…that’s why I’m back on the blog: I’m starting to promote The Secrets We Keep. By the way, if you are interested in finding the duration between two dates, use this Date to Date Calculator. It’s much faster than using your brain. Sadly, I had that eureka moment after I used mental math to figure out the answer. I start to think about the happiest man I know. The kids and I scanned the crowd, eager to spot our favorite pilot. “There he is!” one yelled. “Daddy! Daddy! Daddy!” screeched the other. The littlest angel of all. Then we found shelter from the rain in a multi-leveled parking garage. There, on Christmas morning in 2006, our family shared Christmas together. In my 39 years, I have forgotten many Christmases, like the ones by a tree in a warm cozy home, but as for my family, we will never forget the one we shared in the parking garage of the Cincinnati airport. Merry Christmas—wherever you are, I hope it’s happy! to know what you’ve gained. Tyler Frost is a theater arts and English literature major at Marquette University. He enjoys old things, movies, and good conversation and hopes to be a professional actor someday. Tyler doesn’t write very often, but he likes to let feelings out through it and enjoys being creative. He hopes you enjoy the rough draft of his poem. Anything that’s good, just climb up the tree.